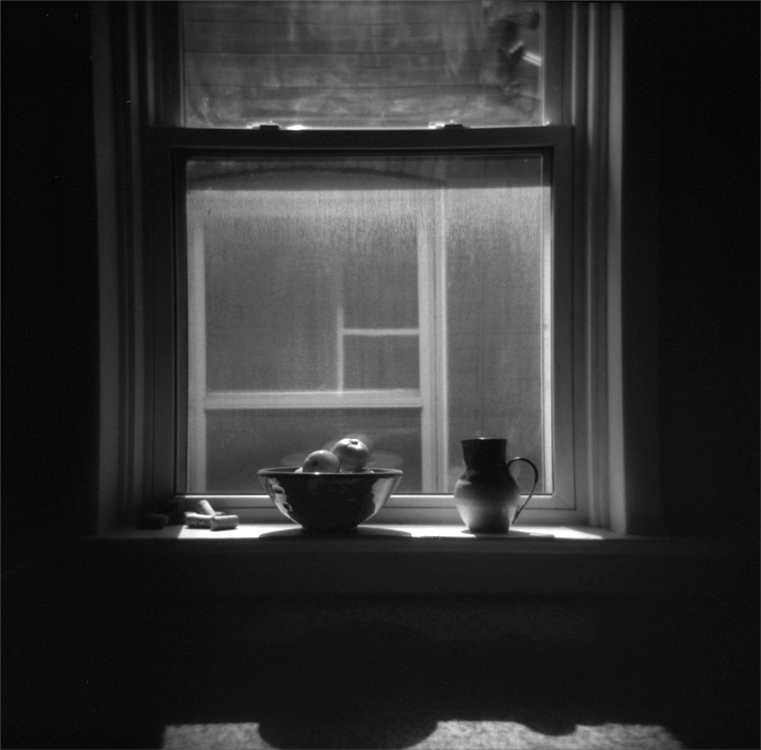 When I lived in Albuquerque in 2008, I purchased a Holga from a local store. It was the least expensive camera for sale, a plastic "toy" camera that still set me back 50 bucks when I was incredibly poor. I shot one roll of film and was certain I messed up the loading of the film. I was correct. Recently, I had the roll developed. Nothing came out. My very first photo shoot as the photographer took place after I won a camera in 7th grade (for being a stellar student in my art class). I couldn't wait to use my new camera. For the shoot, I did a whole set up with back drops of sheets, costumes, and got the cats to model on my bed. With it being my first camera, I didn't know how to load the film and after the shoot, I was crushed when my father removed the entire roll, it's shiny insides curling out towards the floor. All the shots of my cats, gone. My inability to correctly load film into an unfamiliar camera led to nearly 10 years of me not touching the Holga. Until a friend brought over her used Holga to give to me, I remembered I already had one. I purchased 120 film and read the Holga camera instructions. In May, I started shooting with the camera I bought nearly 10 years ago when I hardly had a penny to my name. 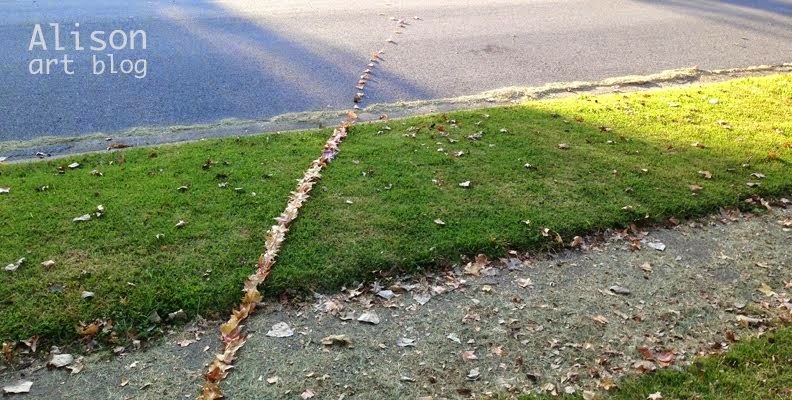 I wanted to use it as a reminder to make art every day-to photograph every day no matter what. With film loaded correctly, it was fun. I brought the camera on my trip to France along with my Crown Graphic camera. The film I shot with my Graflex turned out great. The Holga not so much. I overexposed everything, unknowingly leaving it on the bulb setting the entire time. I was pretty crushed. I ordered another box of film to try again. Normally I take pictures of my parents 4th of July gathering every year. It's my favorite holiday because of its simplicity: it involves sitting around eating, drinking, and talking to family in my parents very nice, very gardened backyard. 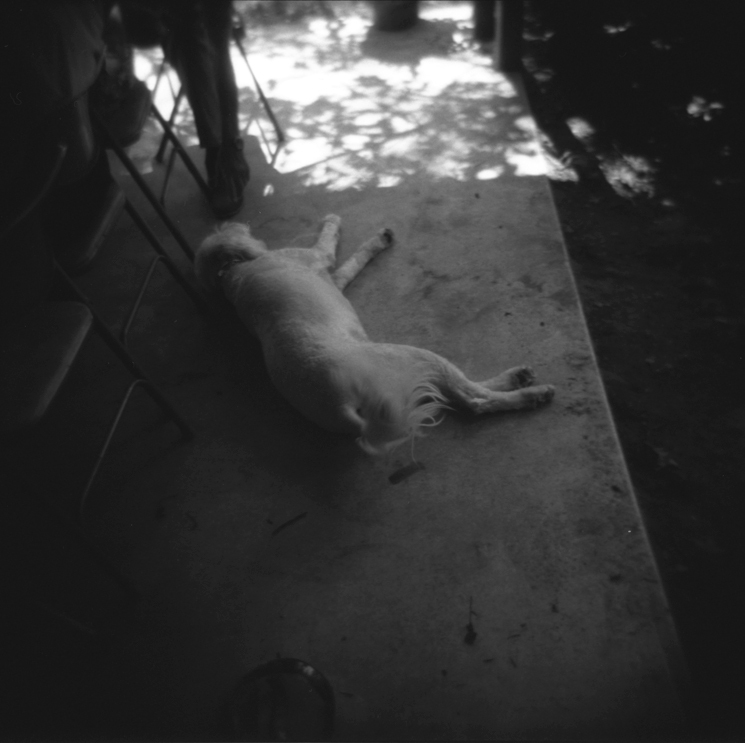 These Holga shots capture the day and month of July overall. And even if the images aren't anything exceptional, I love them because I love the people in the photographs, the day in general was really nice, and the exposure is finally ok. 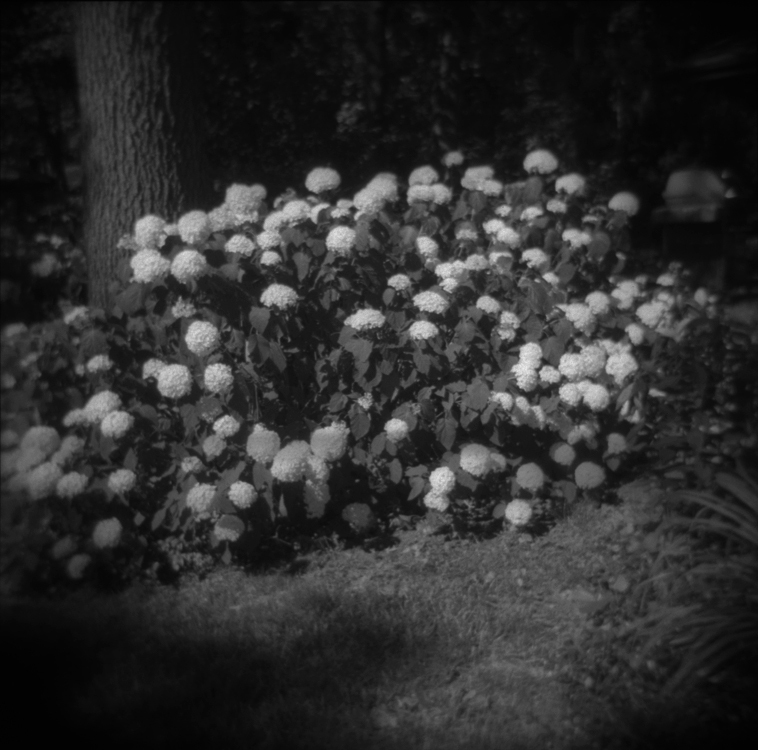 I also enjoy the characteristic Holga vignette. The month of July involved me being newly laid off and moving to St. Louis. With all the stress, I relish the familiar during the dog days of summer. My stellar Aunt Dina. My Dad wearing his "Ditmars" t-shirt. Chianti.